Magnus shares his vision on the future of sound management in cars. One of the main things I’m currently doing as CEO at Creo Dynamics is to figure out how it will sound in a car five years from now. One example, according to studies – The sound experience when buying a new car in China is, next to smell, the most important quality sign for a good car. That means that even some of the low-end Chinese vehicles today have double glass in the side-windows to reduce noise (like a MB S-Klasse etc) – All to prove that this car is a high-quality car and it will give the passengers a comfortable journey. What is a comfortable journey in the future? How should it sound like when your future car is in “electrical”, “autonomous” and “connected” mode? 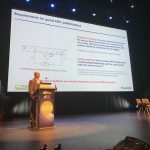 At 2030 nearly 50% of all cars will have the levels of connectivity and Artificial Intelligence that allows the car to have active personalized passenger preferences when it comes to e.g. autonomous driving capability, infotainment, active decision-support systems, new environmental functions, multisensory interaction capabilities etc. All in a so-called “new automotive digital ecosystem”, reflecting our digital ecosystem in everyday life. So, how does this affect the sound environment in your car? Also, your expectation for having your connectivity experience in the car will be much higher – It should be the same as at home – You would like to stream the vintage series “Game of Thrones” on your own screen when the car is in AM (autonomous mode), when, at the same time, your partner in the seat next to you is having a video conference with the office. And both of you should not be disturbed by the FIFA23 the kids are playing in the backseat. And, no headsets, this is in an open cabin without any physical blinds or walls – All to keep you in contact and related to your family! First, there will be a global sound management in the cabin, handled by a combination of passive noise control (tuned damper liners made by metametarial) and active sound control systems. You can compare it to today’s noise cancelling headphones, but in a much, much, much bigger and more complex scale. These systems will handle both the cancelling of road, wind/AC and structural noise etc., at the same time as they enhance the overall sound environment. Second, at the same time, there need to be local sound management systems for each passenger in the cabin – sound zones. These are probably made by a combination of local noise cancelling systems, local sound enhancing systems, directed sound beams and combined with head-tracking systems for following the passenger’s ears. All to take away the unwanted sound and enhance the wanted sound – at the same time. You should hear your sound, not your neighbor’s. Third, the future sound / infotainment systems for achieving the above cannot be based on speakers and microphones as today – That will be way too expensive and heavy! The systems will be based on active surfaces – for example using the surfaces existing in door-panels, ceiling, floor, seats etc.. The active surfaces will have a multitude of sensors and actuators mimicking todays microphones and speakers, to enable the global as well as local sound control at the same time – All controlled by very advanced algorithms. The technology for achieving all this is partly already on the market, or it starts to emerge on the market. However, it will still require much more research and development to get to a full, combined solution that is viable from industrial and financial point of view. 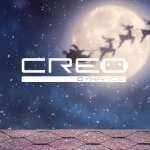 It’s in this field of opportunities Creo Dynamics works today – with our unique competence in both advanced acoustics and smart materials – to develop the solutions and algorithms for enabling all this. It is for sure fun and challenging! We would like you to join our journey into the future! What kind of sound would you like to have in your car?